Some angry youths in the ruling National Democratic Congress (NDC) are requesting for a new voters’ register, ScrewLife.Com has learnt. This comes at a time when the name, picture, and other vital details of opposition New Patriotic Party’s (NPP) Communications Director of Bolga Central Constituency – Elvis Figo Atiah Awonekai – appeared in the NDC voters’ register. It still remains a great mystery, perhaps more than the disappearance of Malaysia’s missing flight 370, as to how Elvis’ information found its way into his opponent’s voters’ register; something that will take several light years to uncover. According to the irate youths, they believe the voters’ register also contains several names of minors who are not legally fit to vote in the primaries. “There exist several names of minors in the register. These people are not supposed to vote. 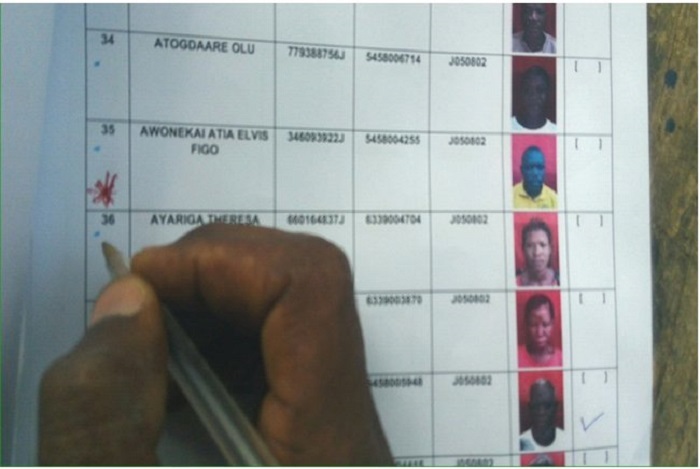 Not only that, the voters’ register in itself has been bloated with names of unknown individuals to satisfy the selfish interests of some aspirants. In Afram Plains South for example, reports indicate the register has 8,000 names whereas there are only 7,000 registered members of NDC in that area. Is this not strange?” Suleman Mohammed, leader of the enraged youths quizzed. Making clear their position, Suleman said the party should provide a new credible voters’ register as soon as possible. Asked whether they were willing to petition the Electoral Commission on this, Suleman Mohammed answered in the negative, saying the EC is only capable of setting up a five-member body that might in the end invite founder and leader of Ghana Freedom Party (GFP), Akua Donkor, who will offer nothing substantial, except providing comic relief to the exercise. “Not only that, we do not want to have any confrontation with the police like our brothers in the other party when we decide to petition EC with our concern,” Suleman spoke out. According to the youths, they will boycott the rest of the primaries if the party does not provide a new minor-free and bloat-less register. Dr. Mahamudu Bawumia, vice presidential candidate of the New Patriotic Party (NPP), congratulated the NDC youths for taking such a worthy action.